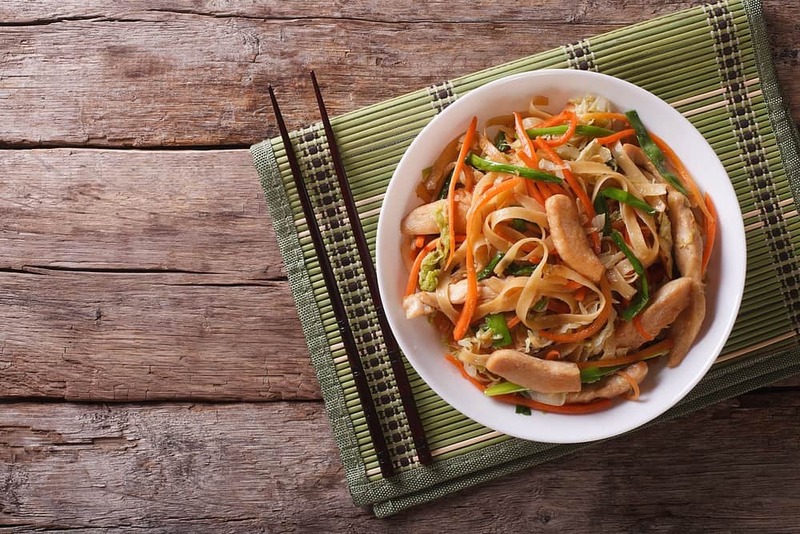 →Chop Suey Vs Chow Mein: What’s The Difference? Chinese food has become a universal cuisine. Though authentic regional dishes may not be common everywhere, a standard Chinese menu exists that most Americans recognize. Two very common dishes on this standard menu have similar ingredients, which can make it hard to understand the difference between chop suey and chow mein. These two dishes contain a combination of stir-fried meat, vegetables and spices, and they can seem very similar if you're unfamiliar with Chinese food. However, there are also some key differences with the two dishes in regard to some of the ingredients, their origins and the sauces used. Chop Suey VS Chow Mein: What's The Difference? Chop suey is made from meat like ﻿﻿chicken or pork, vegetables such as celery, snow peas, bamboo shoots, water chestnuts, bok choy, onion and mushrooms and a gravy consisting of oyster sauce, soy sauce, garlic and cornstarch used as a thickener. Chop suey is rarely served as a dish completely by itself. It needs rice, at a minimum, to make a complete meal. A traditional Chinese meal would also include other dishes and be served family style. Chow mein is made from related ingredients. These include comparable meats like pork or chicken, a similarly flavored but thinner sauce made with soy, garlic and oyster sauce and vegetables like napa cabbage and bok choy. However, chow mein is also created to accompany a series of long, curly chow mein noodles flavored with soy, rice vinegar and sesame oil. Chow mein comes from the Pearl River Delta region of Taishan in northern China. Noodle dishes are more popular in the northern half of the country because this is where wheat and other cooler weather grains are grown. 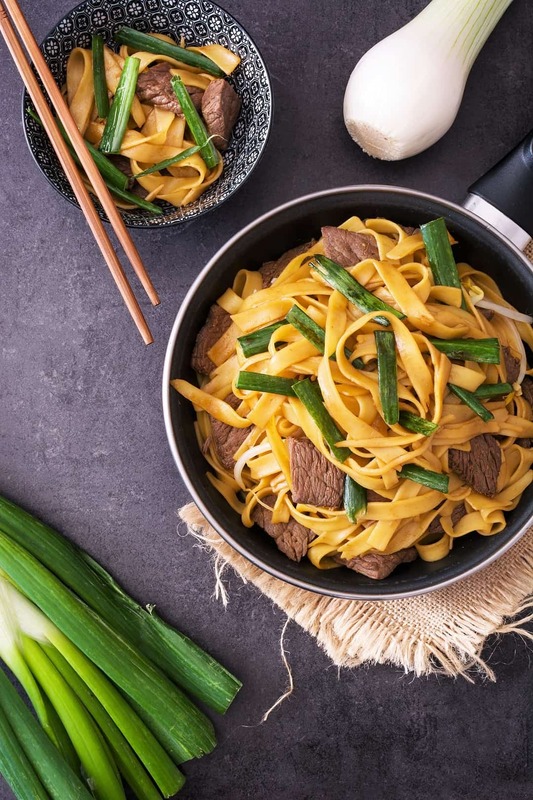 The famous chow mein style egg noodles were invented here, but the recipe quickly spread throughout China due to the way that the egg noodles hold flavors. Traditionally, the noodles were steamed. However, in areas like Hong Kong, people would fry the noodles to make them crispy instead of soft. Today, both versions of the recipe are made in China and the U.S. The crispy noodles are preferred on the western portion of America, and the softer noodles with more of a gravy broth are the norm in the eastern half of the country. The origin of chop suey is somewhat debated. While there are some who claim that it never existed in China and was invented in the U.S. by Chinese migrants living in San Francisco in the 1800s, others trace the history to the Toisan region of China. One popular legend is that the dish was invented in 1896 by the chefs of Chinese Ambassador Li Hung Chang in New York City. The dish was meant to be a way to combine some Chinese flavor to commonly used American foods like pork and celery. It was symbolic of a merging of the best of both cultures and meant to satisfy the taste buds of each nation. 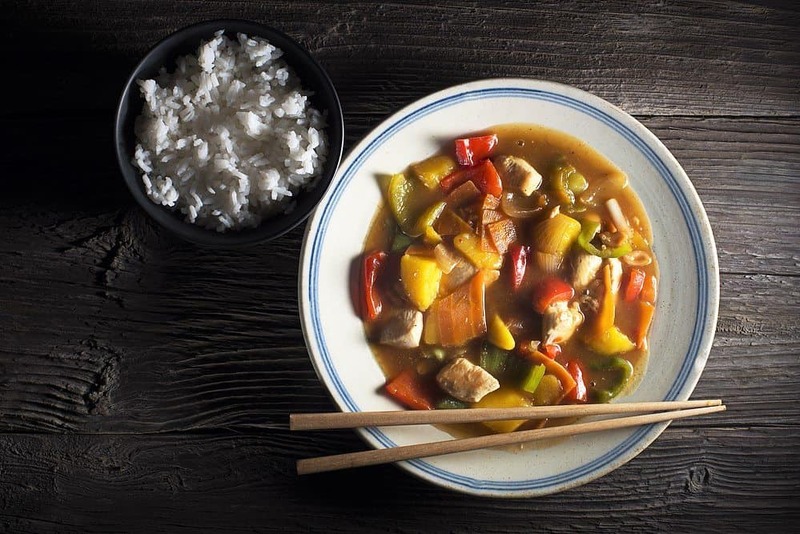 Though the true origin will probably never be known, it is important to note that there is no region in China today that currently serves chop suey as a traditional local dish. It is considered by many Chinese people to be a true example of a Chinese-American food that is unique to the United States. There are a number of different recipes for chow mein that you can find online. Some of these feature crispier noodles while others have the softer kind. One great recipe with easy-to-follow instructions comes from the food blogger Copy Kat and can be found on YouTube. This chow mein recipe is meant to imitate the technique that is used at the Chinese fast-food restaurant Panda Express. If you want a trick to make your chow mein noodles crispy, watch the video below. There is no additional chow mein recipe included in the video. It just shows the technique. This will allow you to choose the sauce, meat and vegetable combination that you prefer and add it to crispy noodles. There are also a number of chop suey recipes online, including some that have been made Filipino-style. One of these recipes is found in a simple and beautifully filmed video by James Strange. This step-by-step cooking video is an easy way to learn this dish, and the result has many positive reviews. Chow mein is from northern China, and chop suey is either from southern China or Chinese-Americans. Chop suey has a thickened gravy sauce while chow mein is flavored with little liquid. Do you have a favorite chow mein or chop suey recipe? Do you prefer one dish to the other? Tell me about it in the comments! If you have any other questions about chop suey and chow mein, please post them in the comments below. Actually, Chow mein has many variations from many different countries such as Nepal, Peru, India and America. Chow mein has many different from chop suey because chow means fried and the word mein means noodles.